Ilość edycji wpisu: 1 "...This week on Amateur Radio Roundtable we will discuss the very first earth moon earth radio transmission by the U.S. Army in 1946 using radar..."
W tym roku się urodziłem - jesteśmy rówieśnikami. 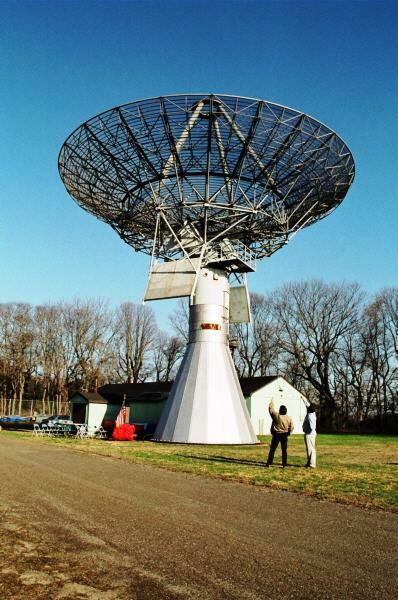 "N2MO using the historic 60' dish in celebration of the original EME echoes 70 years ago will be QRV on Jan 10th starting some time after 1300Z. They will post their availability on the HB9Q reflector. I worked them last Sunday while they were testing. This was not prearranged and pretty much by chance, although they did send me an email at the time. As to be expected, they had an excellent signal and we worked on both CW and SSB. Thanks &73, Al - K2UYH"